Before you read any further, let’s do a quick check. Are you in safety/EHS and do your responsibilities include safety/EHS training? If so, that’s a good sign that you’ll find this article relevant. Next, take a moment to think about the people you provide safety/EHS training to. Are they adults? If so, things are looking very promising for you and this article. 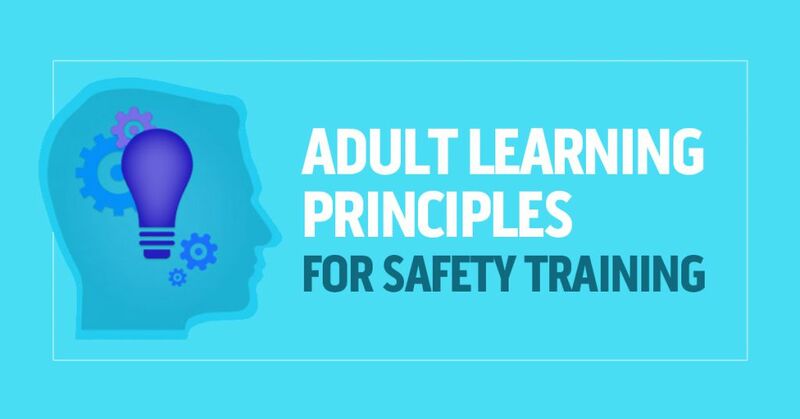 Because in this article, we’re going to take a look at something called adult learning principles and see how keeping them in mind when you design, develop, and deliver safety/EHS training can make your training more effective. Which of course means your training will create a healthier, safer work environment. We’ll even give you some tips and examples of how to apply adult learning principles, and try to clear up some confusion about the multiple different lists of adult learning principles you’ll find if you do a Google search for the term. If you’re a manager at a manufacturing company, you know it’s important to deliver training to new hires as part of their new employee onboarding. And that’s also true if an experienced worker is moving to a new site, work area, or into a new role as well. But you also probably know that onboarding new hires comes with a number of challenges. It’s hard to have time available every time a new worker is hired, and that doesn’t even account for having time every time someone moves from Site A to Site B, or from Production to Warehouse, or from Forklift Operator to Machine Tender. Plus you’ve got to create, buy, or otherwise collect all the training materials. Not everyone has time to do that, especially create training and lead classroom training for new hires. And of course you’ve got to actually KNOW that a new employee has been hired, or that someone has been transferred from the Tulsa site to your site in Wichita, or from Line One to Line Two. And let’s faced it–we may all like to say that communications where we work are perfect, and that we’re all informed of events like these, but I’m pretty sure you’d quickly agree that’s not always the case. So, in a nutshell, there are lots of reasons why it’s difficult to provide onboarding training in a manufacturing environment. That’s where an online system that includes a learning management system (LMS) can pay dividends. You can think of an LMS as an automated assistant that can coordinate all this stuff for you. Kind of a manufacturing onboarding auto-pilot system. So if you’re in the market for an LMS, and want to be able to use it for onboarding new employees (plus your other training needs), we’ll give you an idea of some of the features you should be looking for. NOTE: This article will focus on providing training as part of an onboarding process at a manufacturing company. For a fuller discussion of onboarding as a whole, please see our companion article Onboarding New Employees: Why and How to Do It. We’ve been revamping our mining safety training elearning library, in case you didn’t know. What does that mean? Well, we’ve added a BUNCH of new courses, for one thing. 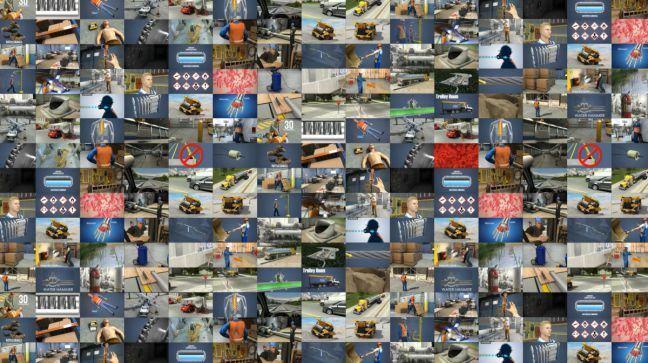 We’ve spruced up older titles, adding new information when relevant and improving our graphics in all cases (our 3D animation capabilities become more and more impressive every year). And we’ve broken some of the courses up into shorter, more “bite-sized” learning activities to make them easier to watch and more effective learning experiences. So all told, it’s a general improvement all the way around. In this article, you can see some of the fruits of that labor. Plus you can check out an interactive glossary of terms related to equipment used in surface mining. And you can even download a free copy for yourself (read more details below about what you’d download and how to use it). Are you in the paper manufacturing industry? If so, you’re going to like what we’ve got for you in this blog post. It’s a fun-to-play, Wheel-of-Fortune-style word game. 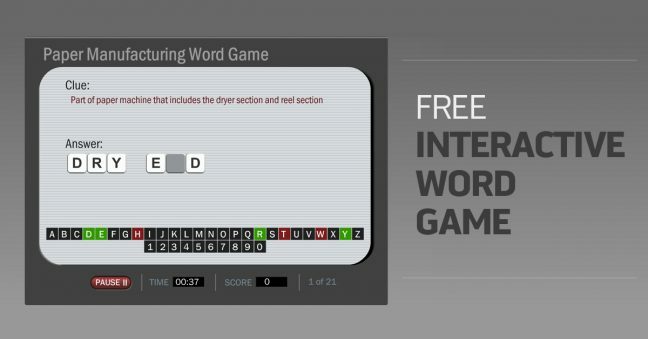 But unlike most of the word games our friends Vanna and Pat play on TV, this word game focuses on words commonly used in the paper manufacturing industry. Meaning, it’s relevant to you and your worklife! You can use this word game just for fun to quiz yourself. Or, you may find it helpful as a bit of a quiz tool to employees you’re training. In particular, it could be very helpful when onboarding new hires with little or no experience in paper manufacturing. Heck, they might have a little fun themselves along the way. And don’t be afraid to project this on a screen during a weekly team meeting as a way to get everyone involved, sharing, and learning. Let us know what you think. And check the Convergence Training blog for helpful articles and other free word games, too. A lot of you write test questions for online training (or even for paper-based training). However you’re doing it, you may sometimes find yourself wondering about the best practices for writing standard question types. (By the way, instructional designers often use the wonky phrase “assessment items” for this kind of thing–an assessment “item” is a question). In this article, we’re going to give you tips about something related to test creation that learning experts call fidelity (no, not THAT fidelity–this is not a juicy blog post). In training talk, fidelity is the extent to which your test or test question mirrors the real task your workers will have to perform on the job. In describing fidelity and test questions, we’ll cover a few other best practices, too. Hope this helps you with your question writin’. Want some easy tips to follow to make training that sticks? To create training workers will remember and apply on the job? To help you attain the business goals you’re trying to reach? Although inspired by Malcolm Gladwell’s book The Tipping Point and written for a popular reading audience instead of exclusively for training professions, the book Made to Stick (more details about the book will come below, don’t worry) is a great source of information about current research into what makes things memorable and what causes people to act. As trainers, we want to craft memorable training and we want training that workers will apply on the job. So you can see how the messages in this book will make your training better. It’s even a book you will notice a lot of training professionals referring to. 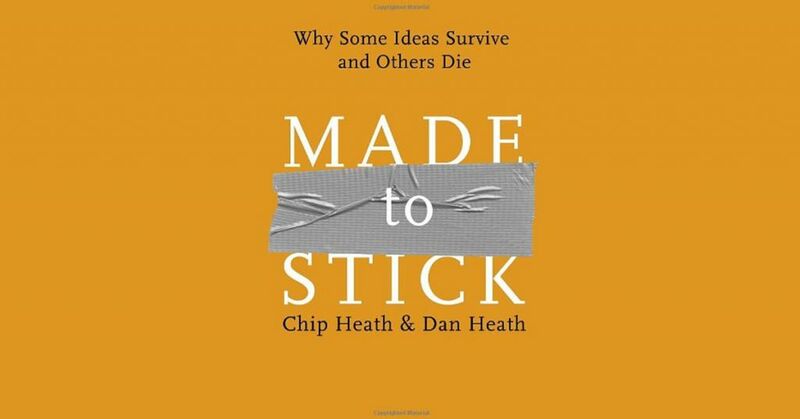 Interested in learning some of the tips from Made to Stick? If so, start by taking a little time to read the two selections below. As you read, ask yourself which you’re more likely to remember later–one or two days later, but even an hour or fifteen minutes later, too. When you’re done we’ll cycle back and explain how this all relates to effective workforce training. “A friend of a friend of ours is a frequent business traveler. Let’s call him Dave. Dave was recently in Atlantic City for an important meeting with clients. Afterward, he had some time to kill before his flight, so he went to a local bar for a drink. He’d just finished one drink when an attractive woman approached and asked if she could buy him another. He was surprised but flattered. Sure, he said. The woman walked to the bar and brought back two more drinks-one for her and one for him. He thanked her and took a sip. And that was the last thing he remembered. OK, now that you’ve read them both, which are you more likely to remember? Why? And how can you apply this to the training you create? Read on to learn how. 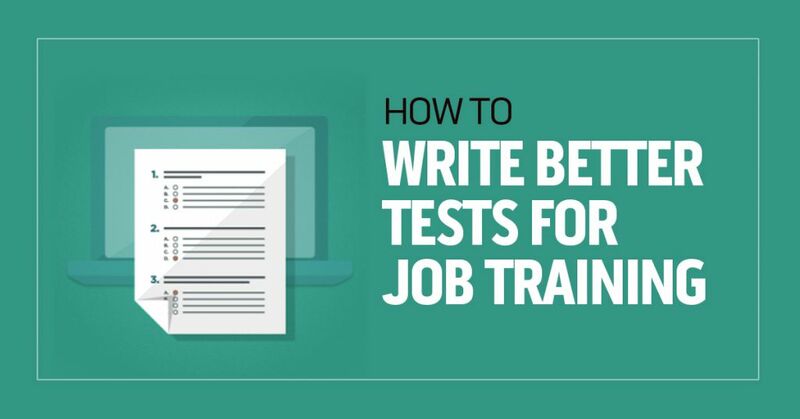 It’s often, if not always, a good idea to provide some form of test or assessment after providing job training to employees. In some cases, this may be a written test scored in a pass/fail manner, and in others, it may be a performance test that requires the workers to demonstrate a skill or the ability to perform a procedure in a satisfactory manner. In either case, it’s important for that test to be a good one. By that we mean that it provides you with useful, actionable information about whether or not the employee has truly benefited from the training and is ready and able to successfully apply the new information or perform the new skill on the job. Side note: Tests are also beneficial for compliance reasons, to prove the worker understood the training, but also because tests have been proven again and again to improve comprehension and retention (see this article on the “testing effect” for more on this). There are a number of characteristics that “good tests” like this share. Learning & development experts know the two that we’ll talk about in this article as validity and reliability. Many companies are interested in adding an online component to their current safety/EHS training. It makes sense. We already do so many things online, and we know that putting stuff online can make things easier, more efficient, less costly, more convenient, and more effective. Why can’t the same be true with safety training? Well, it can be and it is, my friend. Not only is it possible, by now we all probably have at least some familiarity with online safety training. Maybe you’ve seen and have been impressed by an online safety training course. Or maybe you’ve seen how online systems can keep track of and automate training assignments that workers must complete recurrently (such as every year for HazCom training). 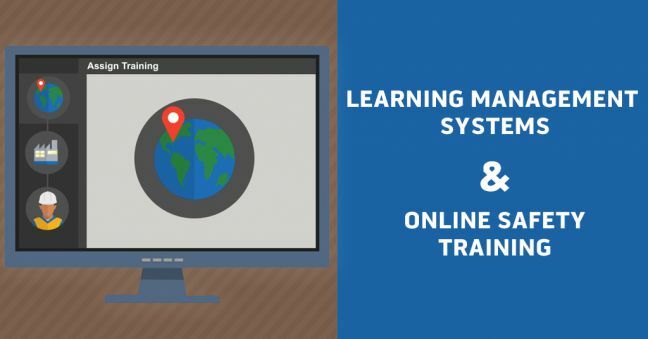 Or maybe you know how efficiently and effortlessly online training systems can create and store records of completed training and even auto-generate reports on that training and deliver them to your email inbox automatically. So in this article, we’ll take a look at one tool you can use in an online safety training solution: the learning management system, or LMS. If you already know what an LMS is and how it relates to online safety training, you may learn some new stuff here. If you’re not aware of what an LMS is or how it’s related to online safety training, this may be really eye-opening and very welcome news. Online safety training can come in many forms. For example, it may mean watching a one-time, “live” webinar or a recorded, on-demand version of that webinar. Or it may mean watching a video online. But another thing it may mean is watching and completing one or more elearning courses. eLearning courses are unique animals because they allow for a lot more interactivity, including but not limited to online practice quizzes and scored online tests, than you can get with an online video or a recorded webinar, for example. Another aspect of an eLearning course is that they’re delivered through a learning management system, also known as an LMS. That combination of eLearning courses and an LMS gives a lot of additional power and flexibility. We’ve already written about LMSs for safety training, so in this article, we’ll focus on eLearning for safety training. 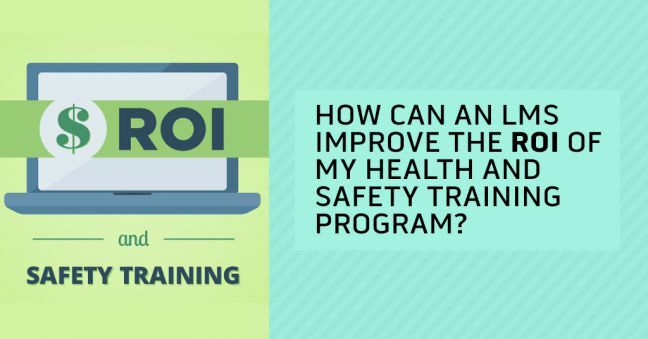 How Can an LMS Improve the ROI of My Health and Safety Training Program? 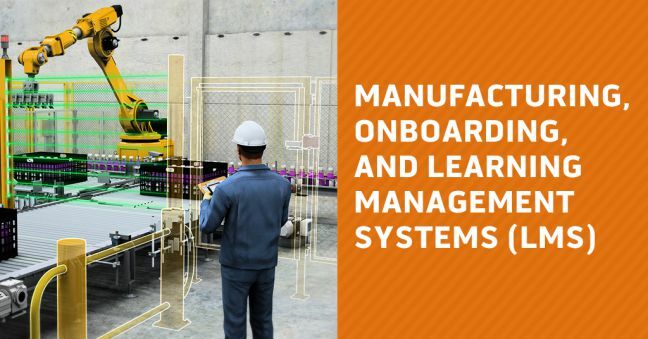 In other articles, we’ve explained what an LMS is and demonstrated how you can use an LMS to improve your EHS training program and your new employee safety onboarding, and we’ve even given a free LMS Buyer’s Guide checklist to help you get the right LMS for your company the first time. Hopefully you’ve read those articles and enjoyed them (although it’s not necessary to read those articles before you read this one). And maybe you even learned a thing or two. But maybe your thoughts are stuck on a single point, one that is often relevant in our society: the almighty dollar and your return on investment (ROI). Specifically, maybe you’re wondering if an LMS would be “worth it?” Is it just a shiny new toy that you can’t afford and that will never help you recover its purchase price? Or is it one of those things that you will purchase and have it save you so much money you come out looking like a genius and smelling like roses? Well, we’ve got some thoughts about that in the article below. Read on and reap the profits (ha ha!). Work is easier when everything goes perfectly and there are no problems. But as you probably know, “perfect” is a rare state. Problems pop up from time to time and workers need to solve them. As a result, it’s important that workers be effective problem solvers. Having a workforce with well-developed problem-solving skills is a significant competitive advantage for a company. What our customer Steve meant by that was, at least in part, that he wanted workers to have problem-solving skills so they could address problems on their own at work to decrease downtime, increase efficiency, and maximize production. But those problem-solving skills don’t come “built-in” to every person. And even those with a natural knack for it can always get better, or learn to apply those skills more effectively in a given work circumstance. 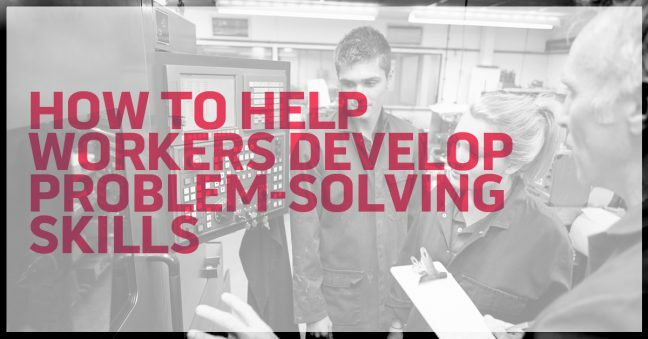 And as a result, it’s a good idea to provide resources to help workers develop and use problem-solving skills at work. That’s what this article will focus on. If you’re in Safety or EHS, you know it’s important to deliver safety onboarding training to new hires. And that’s true if an experienced worker is moving to a new site, work area, or into a new role as well. But you also probably know that delivering safety onboarding comes with a number of challenges. It’s hard to have time available every time a new worker is hired, and that doesn’t even account for having time every time someone moves from Site A to Site B, or from Production to Warehouse, or from Forklift Operator to Machine Tender. Plus you’ve got to create all the appropriate safety training materials for new employees, and in addition for site-specific safety training, work area-specific safety training, job-role specific safety training, and special task-specific safety training too. And of course you’ve got to actually KNOW that a new employee has been hired, or that someone has been transferred from Topeka to your site in Memphis, or from Converting to Production. We may all like to say that communications where we work are perfect, and that we’re all informed of events like these, but I’m pretty sure you’d quickly agree that’s not always the case. So, in a nutshell, there are lots of reasons why it’s difficult to provide safety onboarding for new hires and job transfers. That’s where an online system that includes a learning management system (LMS) can pay dividends. You can think of an LMS as an automated assistant that can coordinate all this stuff for you. Kind of a safety onboarding auto-pilot system. 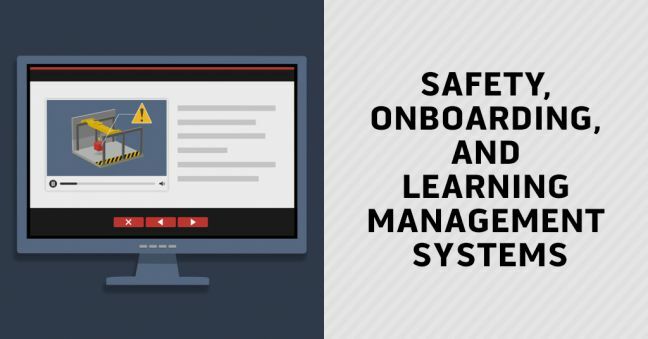 So if you’re in the market for an LMS, and want to be able to use it for safety onboarding along with other safety/EHS training, we’ll give you an idea of some of the features you should want. NOTE: This article will focus on providing safety training as part of an onboarding process. For a fuller discussion of onboarding as a whole, please see our companion article Onboarding New Employees: Why and How to Do It.